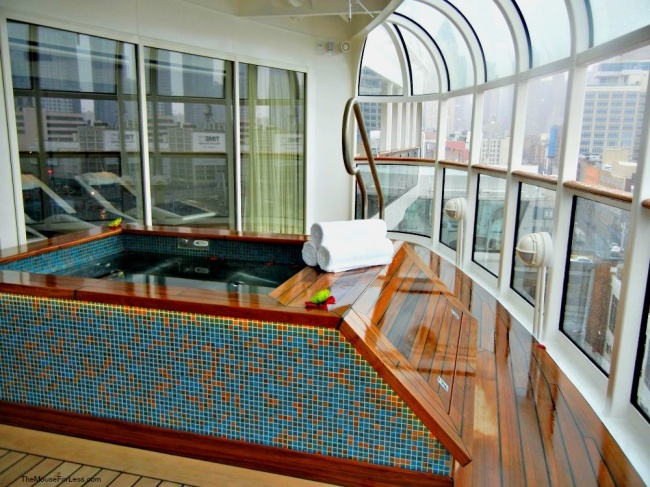 The Senses Spa offers first class spa services on the sea. 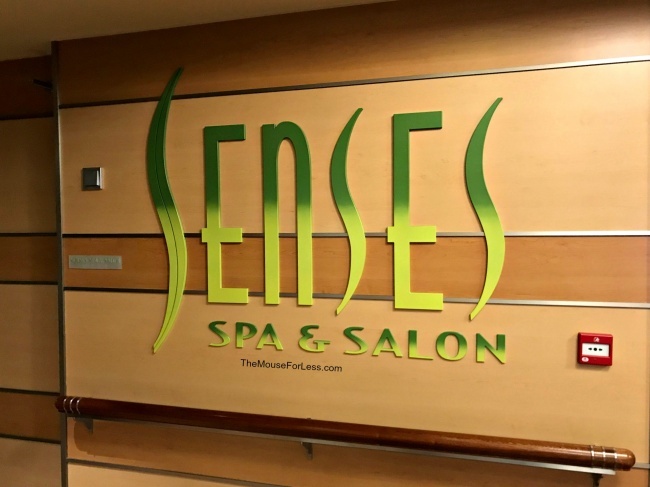 Senses Spa and Salon is available on all of the Disney Cruise Line ships. 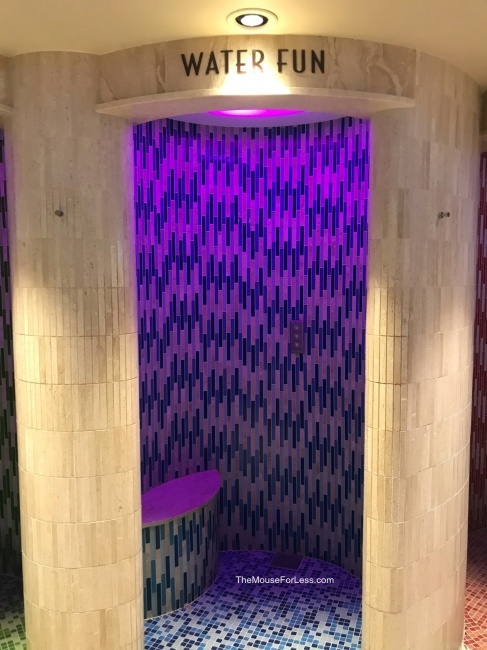 Spa amenities include the Rainforest aromatherapy room, warm tile chairs, and saunas for use before or after services. 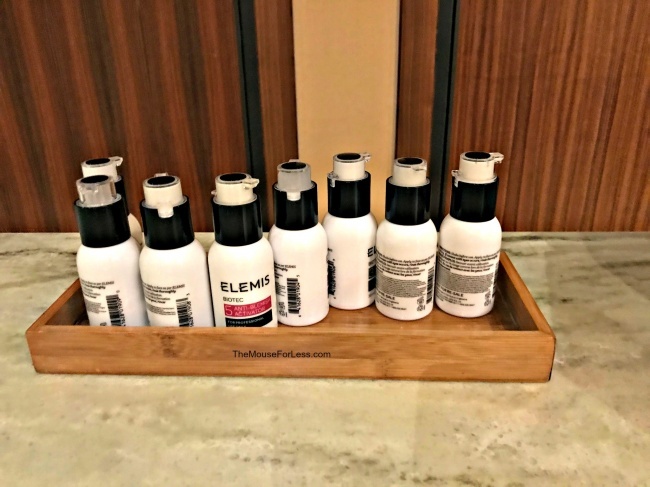 Additional spa amenities include comfortable waiting areas, lockers, showers, changing rooms, sandals and robes for your treatments, and beauty products, such as shampoos and lotions. The spa is available for guests 18 or older. 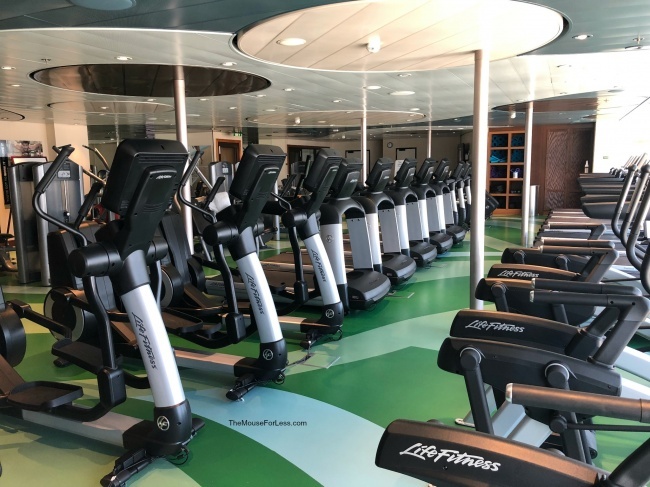 Reservations may be made online, or after 1 p.m. on the first day of your cruise. One thing to keep in mind that that an 18% gratuity will automatically be applied to all spa services, in addition to the list price. Guests ages 13 to 17 can book spa and salon services through the Chill Spa designed exclusively for tweens and teens. This Swedish Massage combines 10 cultural touches from around the world—including Swedish and Deep Tissue techniques—for an ultra-therapeutic experience that’s specially tailored to your body. After a brief consultation with our highly trained, licensed therapist, enjoy a transformative massage that melts away day-to-day stress. 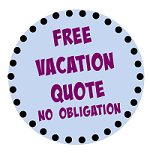 It’s the perfect way to start your vacation! This massage for couples seamlessly combines 10 exotic cultural touches—including Swedish and Deep Tissue techniques—to create a relaxing experience for both of you. Share the massage that becomes a heavenly journey into blissful relaxation for two. When booking this treatment, only one name from your party is needed to reserve. 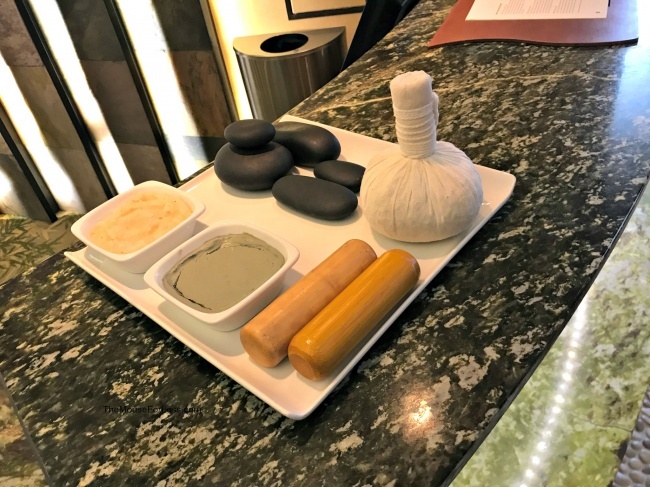 This soothing stone therapy harnesses the ancient power of Basalt stones to melt away tension and deliver deep-penetrating therapy for the muscles. The heated volcanic stones are placed on key energy points while warmed oils are gently worked into the body with traditional massage techniques. This holistic approach to relaxation is as sensual as it is effective. This cabana massage for one combines the divine comfort and luxury of our renowned Swedish Massage with the natural beauty of one of our open-air Castaway Cay Cabanas. Dive deep into relaxation while enjoying breathtaking views of Serenity Bay. This cabana massage for two brings the pleasure of our renowned Swedish Massage to you and your partner in a unique, shared journey into paradise. Enjoy your massage while being gently caressed by soft breezes in an open-air Couples Cabanas with a crystal-blue view of beautiful Serenity Bay. When booking this treatment, only one name from your party is needed to reserve. This energizing, rhythmic massage utilizes scented herbal poultices that are heated and applied to the body at strategic pressure points that relax the muscles and release tension. Your therapist then follows with an array of Eastern and Western massage techniques and acupressure movements combined with essential oils that will transport your body on an exotic journey of total renewal. Enjoy a warm, soothing massage sure to tantalize the senses. Imagine warm bamboo shoots of various sizes soaked in essential oils that roll, slide and massage your muscles into pure bliss. This incredibly indulgent massage will revive your senses in a new and innovative way, inspiring the most relaxed state. 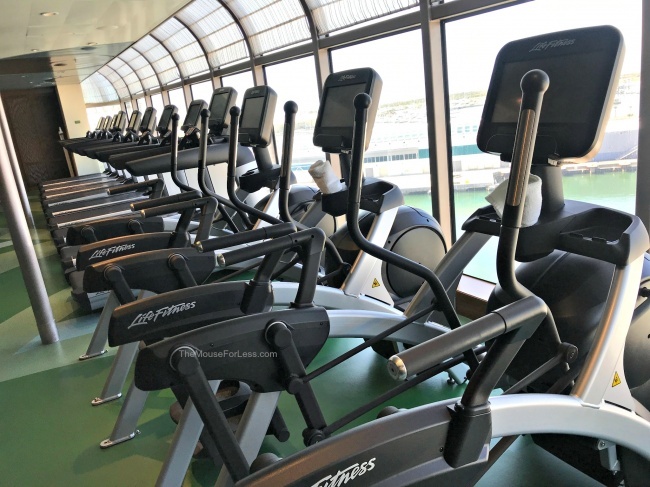 Our therapist will use deep tissue techniques or gentle strokes to melt away tension and soothe muscles—all customized to your personal preference. Tackle fine lines and wrinkles and help nourish the cellular structure of your skin with this rejuvenating treatment. The proven benefits of marine-charged Padina pavonica and red coral help plump out fine lines, while Indian mulberry reduces skin-fatigue, helping relax wrinkles. Targeted lymphatic drainage massage re-energizes and reinvigorates, while an age-defying peel-off mask encourages the highest cellular function—visibly improving firmness and elasticity for beautifully nourished, younger-looking skin. 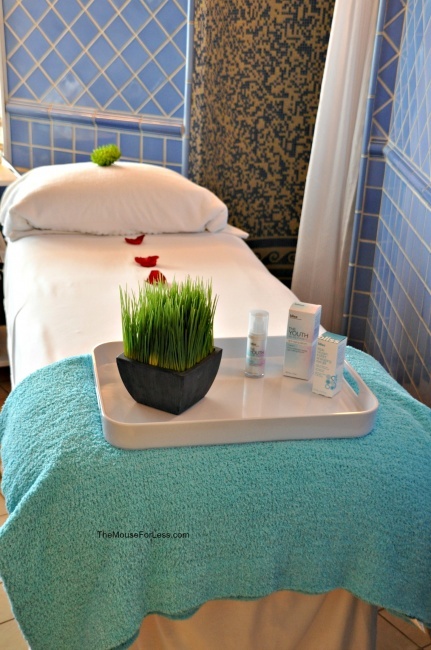 Indulge in a hard-working facial for aging, stressed, dehydrated skin and tired eyes. This energizing treatment speaks to every skin concern, restoring vital moisture and nutrient levels, maximizing cell regeneration, and decongesting with steam and extraction. Multi-dynamic facial massage sequences boost circulation as targeted scalp and foot massages deeply relax. Finally, the nourishing Pro-Collagen Marine Cream for Men is worked into your receptive, revitalized skin for a vibrant and energized result. This highly potent couture resurfacing treatment targets the signs of aging and dull, tired, uneven skin tone. Specifically designed to work in conjunction with your skin’s unique structure, this pioneering precision-layering protocol uses 3 layers of enzymes to nibble the dead skin away, revealing extraordinary results. This system also delivers powerful exfoliation and renewal for smoother, younger-looking skin while steam and extraction cleanse at a deeper level. A new start for new skin that has never looked better! This revolutionary, clinically proven facial addresses skin tone, blemishes and fine lines to transform the texture of the skin. The ultrasonic peel, massage and light therapy deliver a complexion that has never been smoother. A deep-cleansing facial that detoxifies and repairs damaged tissue. Ultrasonic vibration, massage, steam and galvanic currents thoroughly decongest and exfoliate. Powerful anti-oxidants soothe while light therapy helps clear the complexion. The ultimate facial to de-stress, de-age and de-fatigue the male complexion while activating dynamic skin. Ultrasonic peeling, steam and galvanic current deliver a deep cleansing for a multi-functional, time-efficient solution. This revolutionary clinically proven* facial addresses skin tone, blemishes and fine lines to transform the texture of the skin. The ultrasonic peel, massage and light therapy deliver a complexion that has never been smoother. Please note, an 18% gratuity will automatically be applied to all spa services. This treatment includes deep-cleansing exfoliation and a double-close shave to leave your skin super smooth. Enjoy the Express Shave along with the added benefits of a soothing face and scalp massage as well as a deep-pore cleansing mask. Known as the “shave of all shaves,” this youth-enhancing treatment will leave his skin looking and feeling revitalized. 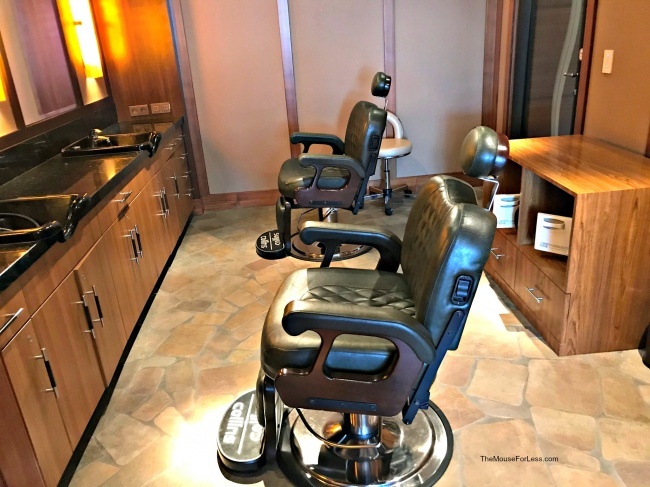 This signature grooming service includes the Express Shave, an anti-aging mini facial and luxurious face, scalp, hand and arm massage. This treatment consists of a Pro Collagen Marine Facial, a collagen-infused Japanese silk mask that helps reduce the appearance of fine lines and wrinkles while restoring elasticity and deeply nourishing the skin. Top it off with a full-body Swedish Massage to sooth away any additional tension. This smoothing cellulite fighter combines the power of a stimulating lymphatic massage with an innovative treatment that uses electric current pads and an effective clay mask. 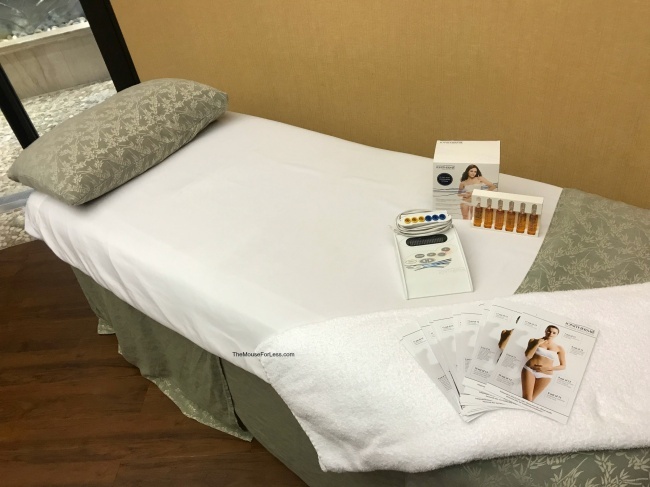 The massage is applied with a gentle exfoliating scrub, followed by electric stimulation and a rich, nutritive moisturizer that reduces the appearance of cellulite. This treatment also has the added benefit of detoxifying the body while providing added definition. Acupuncture is becoming one of the fastest-growing movements in healthcare today. It is often used as a complement to conventional medicine. 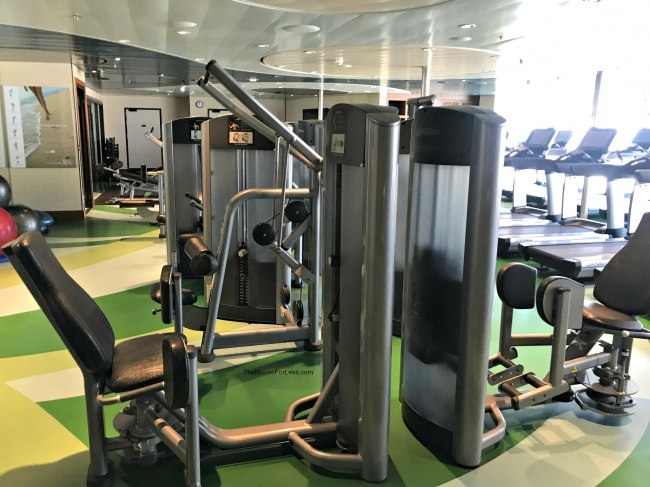 Our onboard acupuncturist is certified to safely and effectively treat a variety of symptoms and conditions including, but not limited to, pain, digestive problems and weight loss. 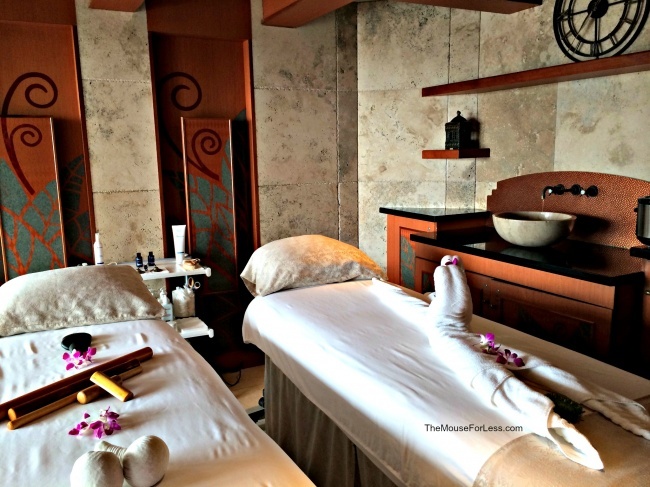 Please note this treatment may only be booked onboard at the Senses Spa and Salon. 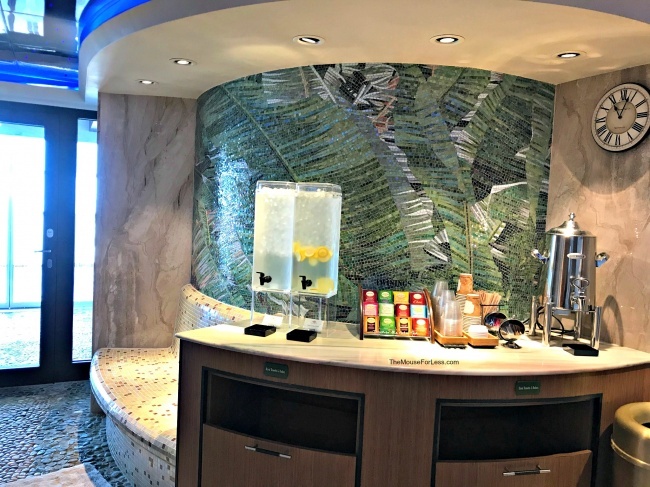 Many of our world-class Senses Spa Villas services may be booked in advance using the Planning Center or at the spa reception area onboard each Disney Ship. Select villas for one to truly treat yourself or villas for two to share the pleasures with a partner. 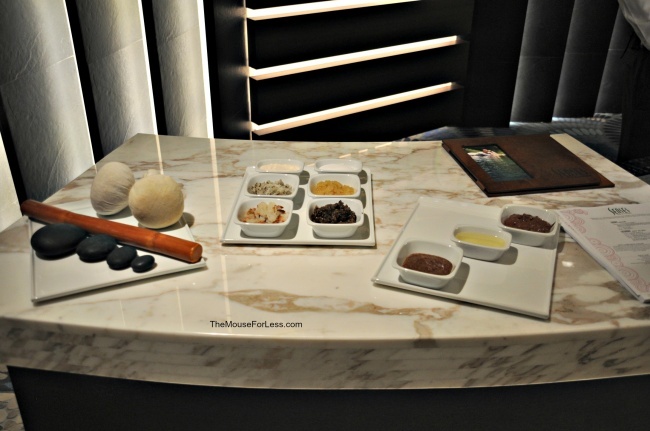 This sensual package may be booked online or onboard at the Senses Spa and Salon. The Ultimate Indulgence package combines our most sumptuous pleasures—a revolutionary Elemis Pro-Collagen Marine Facial and our soothing Elemis Deep Tissue Muscle Massage—in an unforgettable retreat into ecstasy for the body and spirit. Couples seeking quiet time together will find this package ideal. 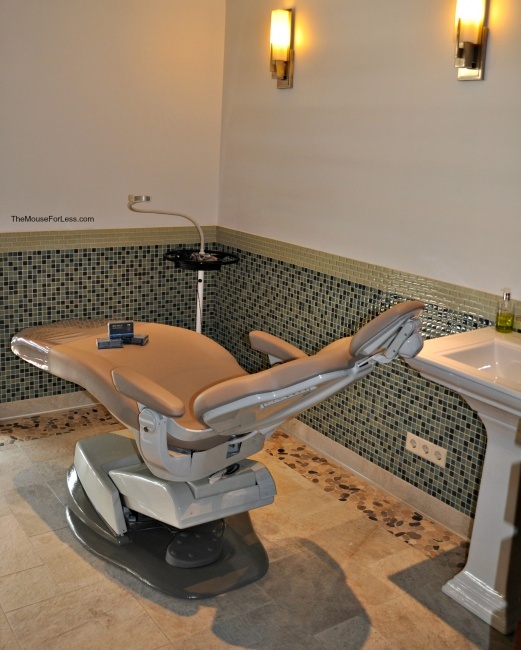 The facial miraculously rejuvenates and reduces signs of aging, while the massage brings the body into balance. 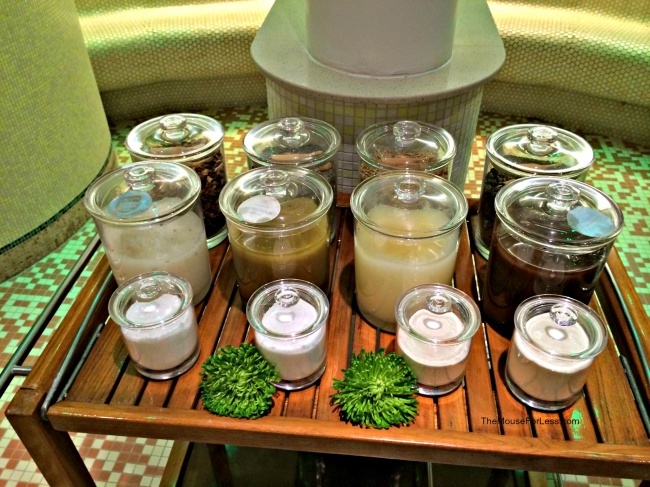 Please note that this heavenly package may only be booked onboard at the Senses Spa and Salon. 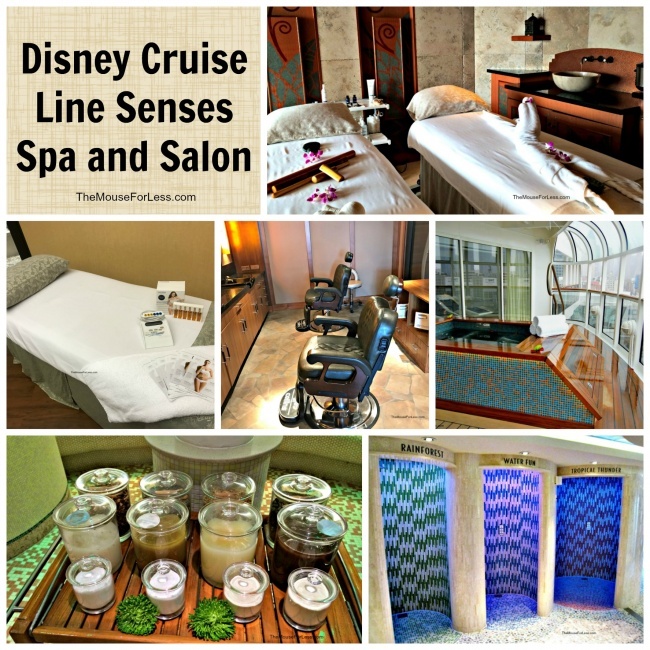 Salon offerings for women and men at the Senses Spa & Salon help you look and feel your best aboard your Disney ship. Discover a “new you” with the consultation of our internationally trained hair stylists. Applying expert techniques and carefully honed skills, they can transform difficult hair into luscious locks or create an entirely fresh, head-turning look with a professional makeover. A balanced formula created with botanical extracts—including those from the Tahitian frangipani flower—is gently massaged into your scalp, leaving it soothed and conditioned. Add flair to your existing hairstyle or a completely new one with a professional blow dry. Our highly trained stylists will work with you to create the perfect haircut to complement your personal style. Look fresh and fantastic in your vacation photographs! 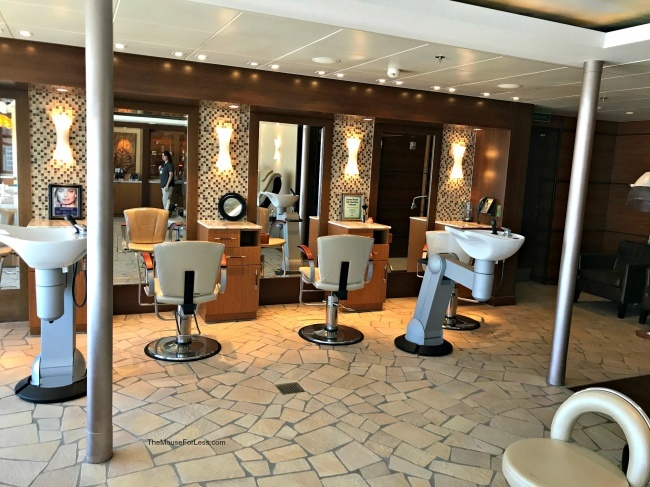 When a formal onboard occasion calls for an elegant up do, our hairdressers can help. Make an appointment to create a look that will turn heads. Whether it’s a classic clean cut or the latest hair trend, our salon specialists can create the look you want with a wide range of men’s hairstyles in their repertoire. Your nails are one of your most important accessories, so keep them beautiful with this invigorating manicure that will warm your spirit and chill your stress. Thanks to a combination of therapeutic cooling gels and massage using a heated stone, your skin will be smoother and your nails will be nourished and polished to perfection. This super rejuvenating pedicure will set your senses aglow and melt your tension away. 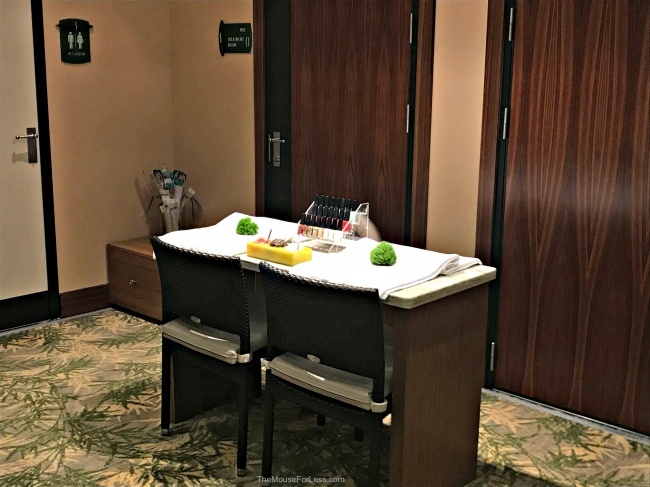 Savor the sublime feeling as your feet and lower legs are soothed with our cooling gels and then warmed with a heated stone massage. This combination of hot and cold—plus aroma-therapeutic ingredients and polish application—promote healthy-looking skin and nails. 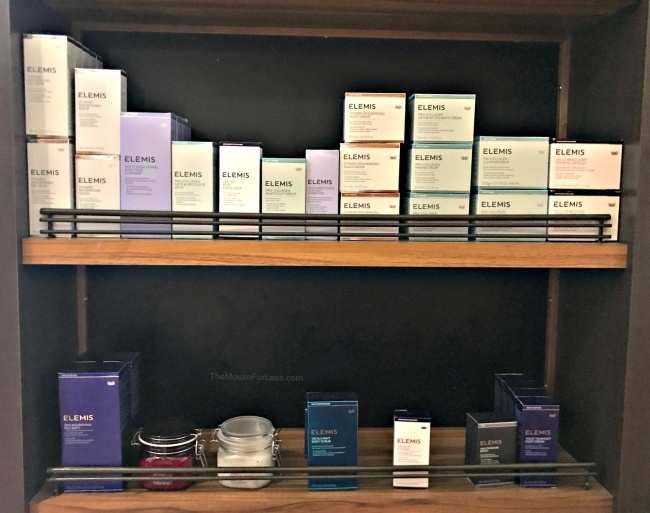 Discover an array of cosmetic body and facial treatments intended to safely and effectively improve the appearance of your skin. 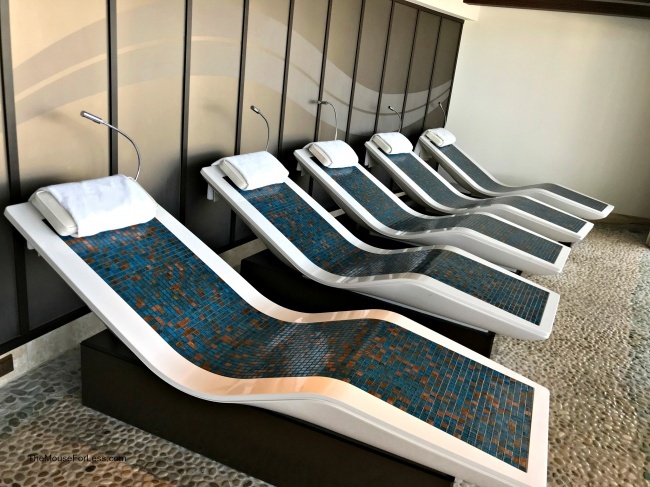 Guests interested in booking any one of the 4 treatments listed below, must meet with the onboard Rejuvenation Spa physician for a complimentary 30-minute consultation. 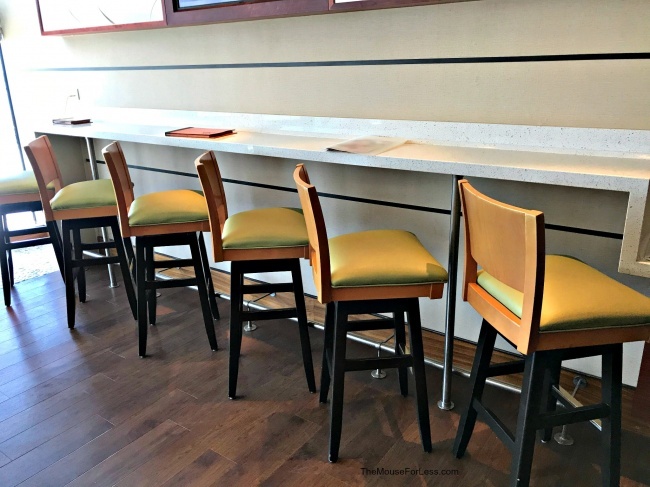 Reservations for a consultation may be added by signing in to your Disney account and visiting My Disney Cruise, followed by My Cruise Reservations. Prices and service durations vary per treatment and will be determined at the time of your 30-minute consultation. 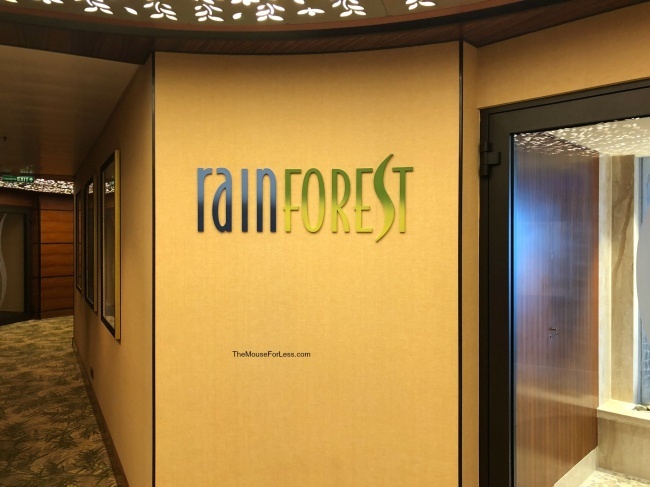 The Rainforest Room is an exclusive room inside the Senses Spa onboard every Disney Ship. 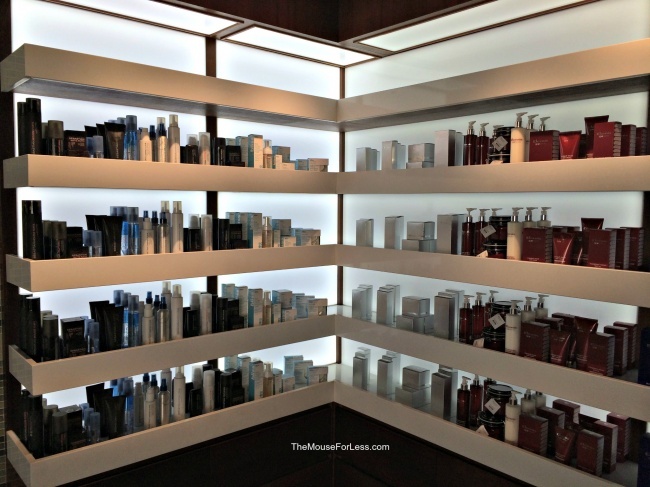 Inside are amenities designed to help guests relax, unwind, and rejuvenate. 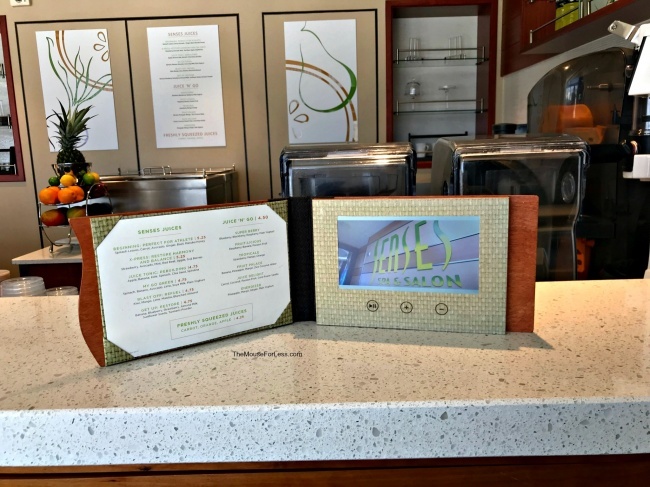 To get access guests must register at Senses Spa for a day pass that allows them access at any time for that day. 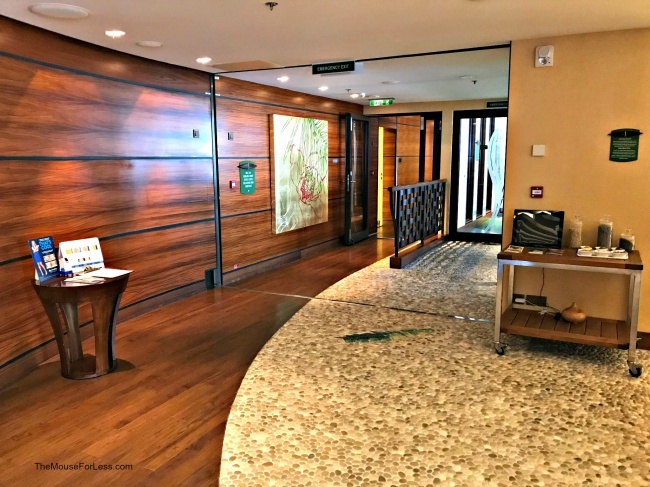 This pass can be extended to last the length of your cruise but passes are limited so it is recommended that guests purchase it the day they arrive. 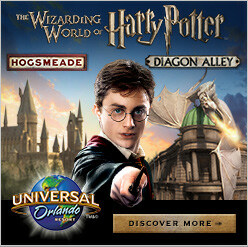 Guests can also purchase couples passes for a slightly cheaper cost. 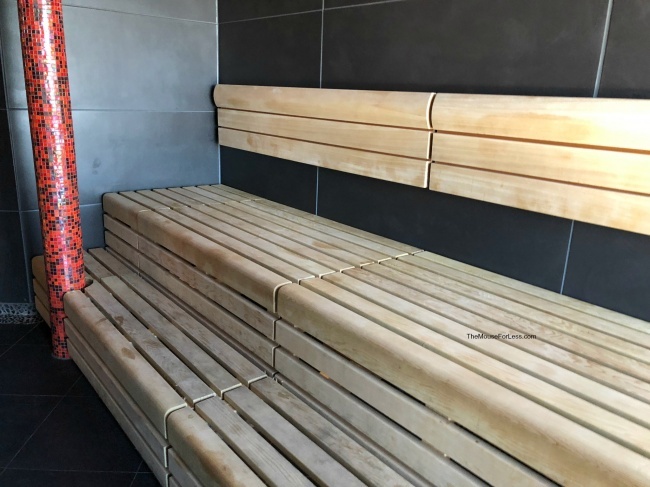 Rainforest Sauna Room: The rainforest room has a set of three saunas that can be experienced alone or by taking breaks in the set of aromatic showers. 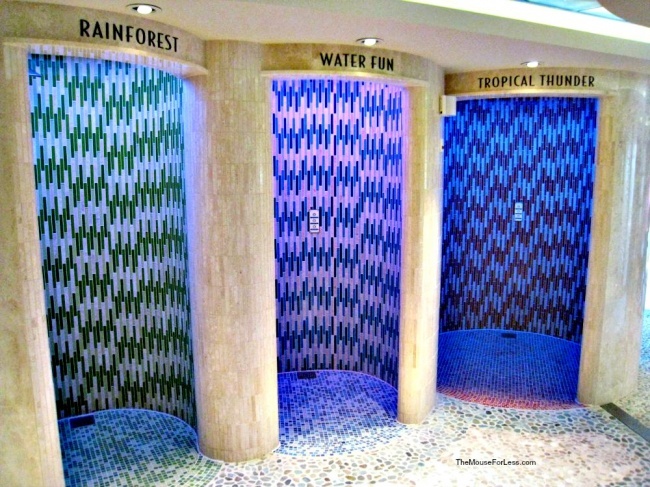 Rainforest Room Showers: The rainforest room has four aromatic showers that have different “rain” programs in each shower. These showers differ in temperatures, water pressure, and scents to invigorate and warm the body. 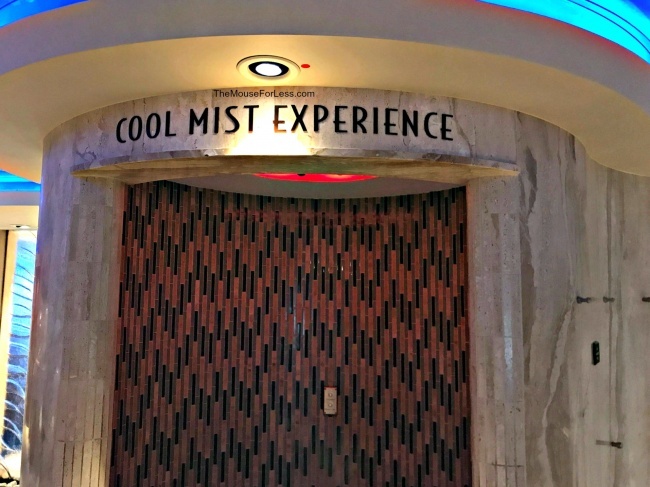 Cool Mist Experience Shower – By far the coldest of the showers this one has two settings, Cold Mist and Siberian Night. Both of these experiences come with a refreshing peppermint scent. 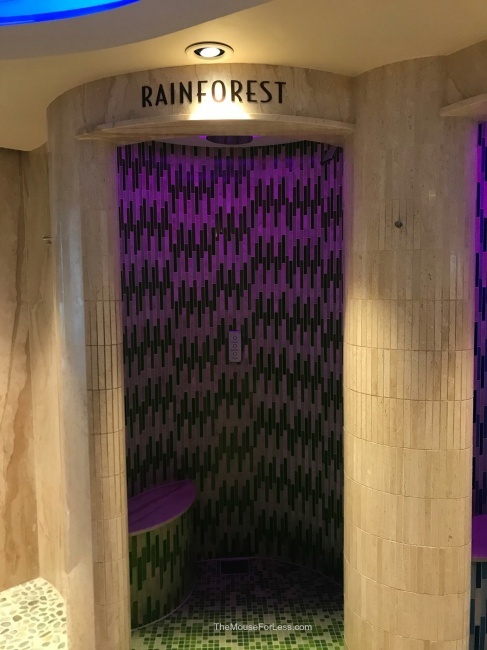 Rainforest Shower – The warmest of the showers with three settings, Waterfall, Warm Rain, and Kneipp. Waterfall uses one large flat water spray, Warm Rain has more of a typical shower pressure. Kneipp uses both water pressures from Waterfall and Warm Rain. 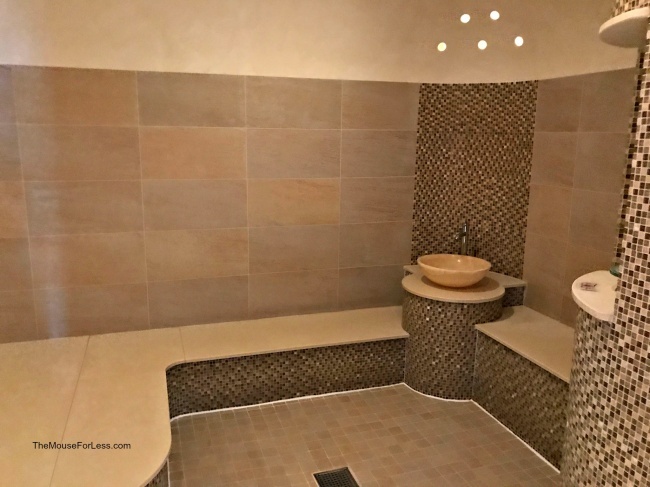 Water Fun Shower – This shower has three settings as well, Tropical Rain, Cold Mist, and Southern Storm. 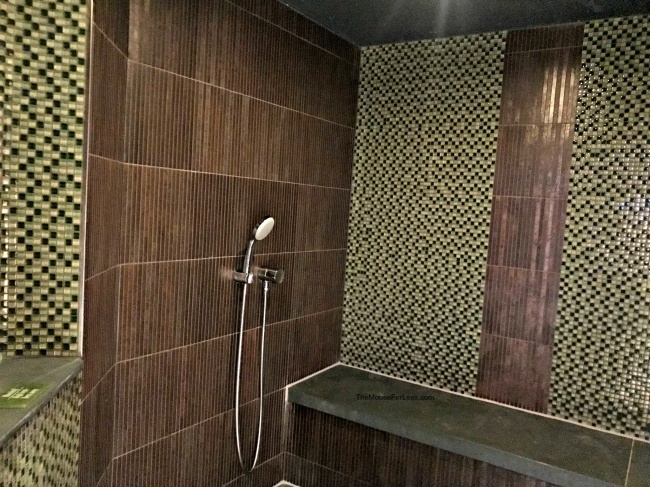 This shower also has sound and light effects to make it seem like guests are truly in a storm or rain. 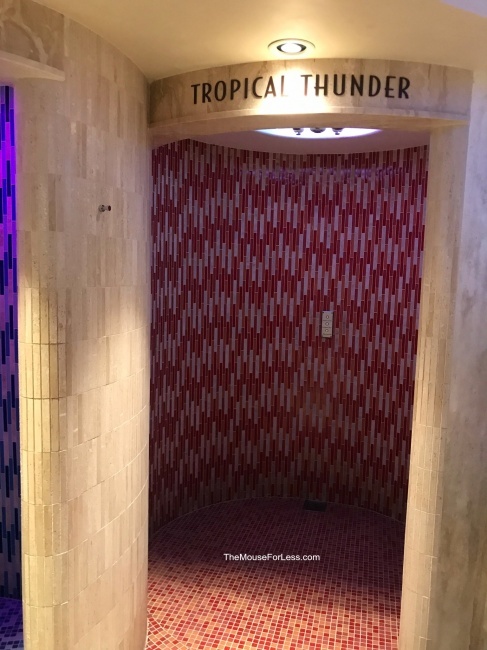 Tropical Thunder Shower – The last shower also has three settings, Atlantic Ocean, Caribbean Storm, and Mediterranean Rain. All of these settings have a mix of warm and cold water with different aromatherapy for each experience. Heated Loungers: Ten stone loungers are spaced out before glass doors that lead to the jacuzzi room. These loungers are curved and slightly warm to help guests unwind. Each lounger comes with a headrest and light to read by if it is dark. Soothing music is played and the ceiling can light up like constellations to help guests truly relax. Jacuzzi Room: Two jacuzzi tubs are available in the rainforest room. These tubs are spacious and overlook the open window so guests can see the ocean from any angle of the room. This room is a quiet spot where guests can sit and enjoy the view. 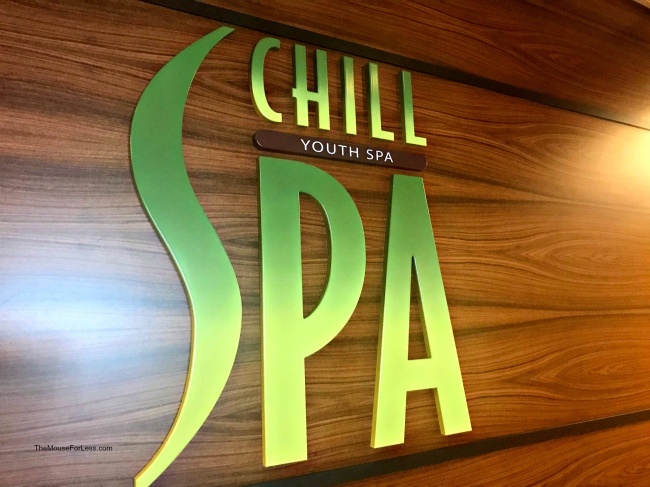 The Chill Spa offers a variety of treatments and services created with your teen (ages 13 to 17) in mind and can be found inside Sense Spa and Salon. 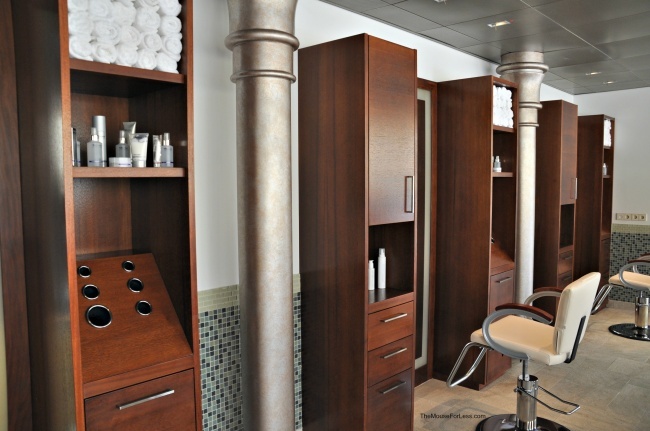 Guests can reserve a day of massages, manicures, pedicures, salon services and more. A full body massage using aromatherapy oils and Swedish massage techniques. Enjoy a massage side by side relaxing and spending quality time together. Paradise massage is available for half body (25 minutes) or full body (50 minutes). This delicious wrap is designed to reax your muscles, followed by a soothing massage. This facial cleanses, moisturizes, and nourishes using an organic mixture of fresh fruits. Designed to do just as it sounds this new oxygen facial will leave you blemish free and confident. For a new hair-do and some “how to” tips this is a great session. You will have a personalized consultation with a professional stylist then change up your look with a new style of your choice. Enjoy your new style or an old favorite, when you book a Truth or Hair styling. Skin damage can deter anyone from wanting to tan, but now you can enjoy your glow and not worry, First you are exfoliated head to toe then St. Tropez’s Aloe Vera (paraben free) is applied to bring out your natural glow. This exfoliant is a combination of fresh limes, lemons, and ginger. 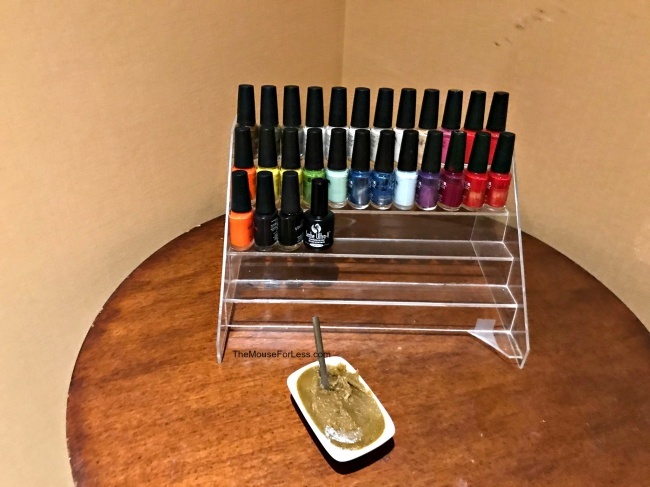 This specialized manicure includes a soak in a mixture made up of a number of tasty treats including your choice of ice cream flavor. Your hands will feel smooth and look great with new coat of polish. 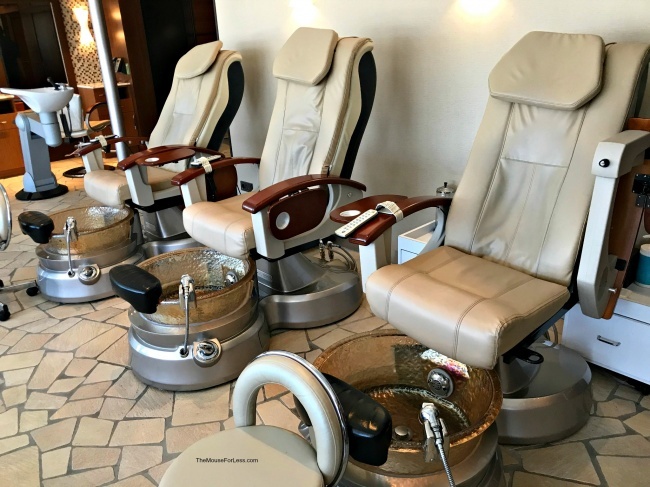 This specialized pedicure includes a soak in a mixture made up of a number of tasty treats including your choice of ice cream flavor. Your feet will feel smooth and look great with new coat of polish. This is a traditional manicure without all of the extras, but a relaxing experience none the less. It can be enjoyed with or without polish. This is a traditional pedicure without all of the extras, but a relaxing experience none the less.